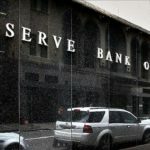 At its meeting today, the Board decided to leave the cash rate unchanged at 1.75 per cent. The global economy is continuing to grow, at a lower than average pace. Several advanced economies have recorded improved conditions over the past year, but conditions have become more difficult for a number of emerging market economies. China’s growth rate moderated further in the first part of the year, though recent actions by Chinese policymakers are supporting the near-term outlook.